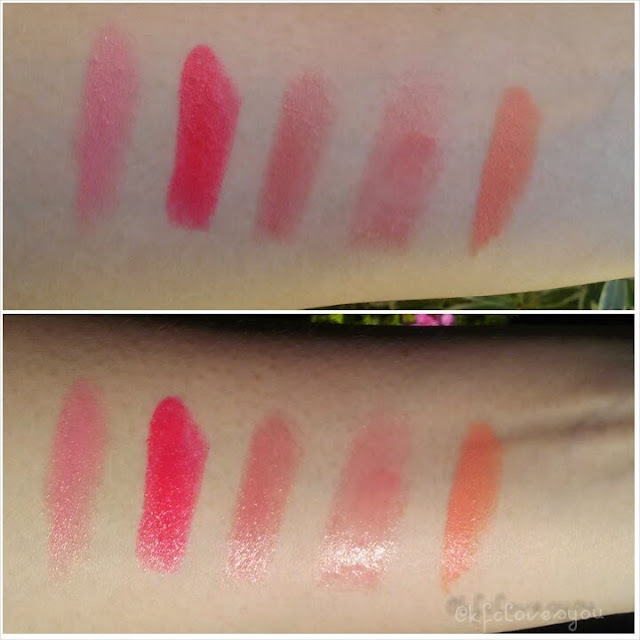 We're about one month into Summer and I thought this would be the perfect time to talk about my top lipsticks I have been reaching for so far! 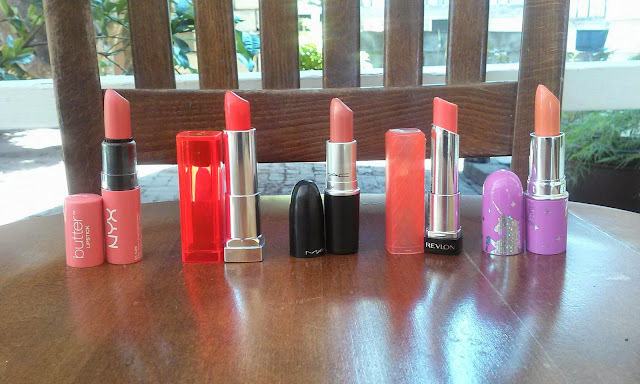 For the most part, I'm sure you can see a pattern with these lipsticks. 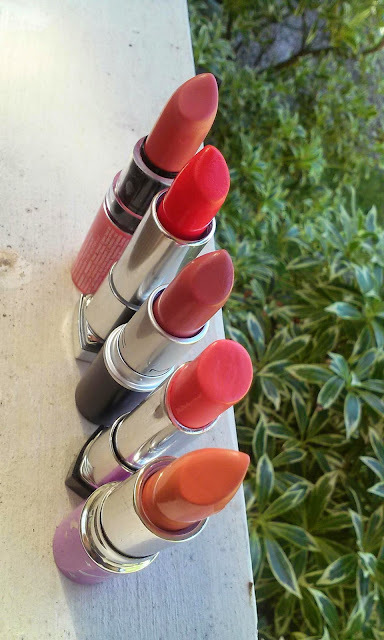 Though they are all different, they all have some sort of peach or orange undertone to them and yes, I have been completely obsessed with peachy and orange lips! I mentioned NYX's Candy Buttons in my last favorites post and it is the perfect peachy pink lipstick for me. It feels nice on the lips and is a nice balance of color that can be bright yet subdued, depending on how I wear it. If I want a brighter pop of color on my lips, I will go for Maybelline's Vibrant Mandarin. This color is a red, but it definitely has some orange based undertones on it. I reviewed it last year or so (review here) and the color just really stands out on my skin tone. I definitely like this one for a summer night out. MAC's Razzledazzler is a recent pick that I haven't really talked about, but I instantly fell in love with it too. 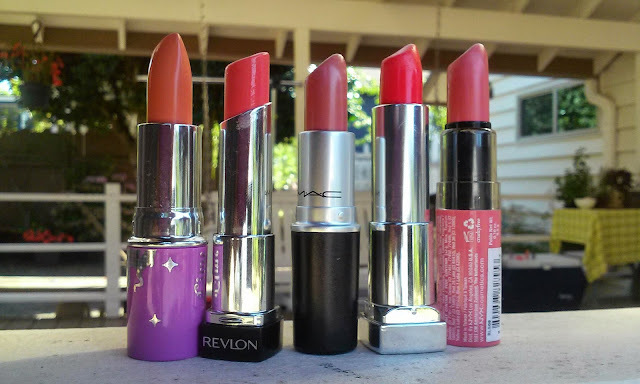 It is a peachy lipstick as well that is more brown and orange based than pink. It is perfect for every day and is so easy to wear since it is a creamsheen formula. I wanted another peach lipstick and was looking at other MAC lipsticks that came in this orange color line, but this one was the most wearable for me. Another lippie that I have been obsessed with since I bought it last year is the Revlon's Butter Lipstick in Juicy Papaya (review here). Besides being obsessed with the whole Butter lipstick line, Juicy Papaya is just so wearable and uses very little maintenance. Definitely a lipstick you can just throw in your bag. It is very similar to Razzledazzler, but it leans more pink on the lips and is also a lot more sheer. The last favorite lipstick of the Summer is probably my favorite out of the bunch. For some reason, I have been really into orange lips and even orange eye shadows, but mainly orange lips. When I bought Lime Crime's Cosmopop lipstick and tried it on, I instantly fell in love with it (full review here)! The color is a beautiful lighter orange color that is totally wearable. It is creamy and opaque and is just frikken amazing! I can't say enough good stuff about it! 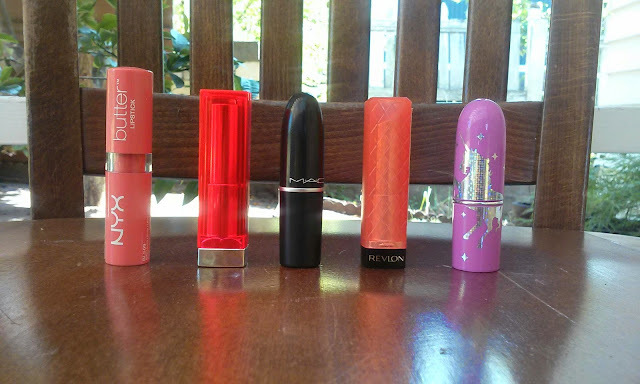 There are my top lipstick picks and I hope you enjoyed them! Have you tried any of these lipsticks yourself? 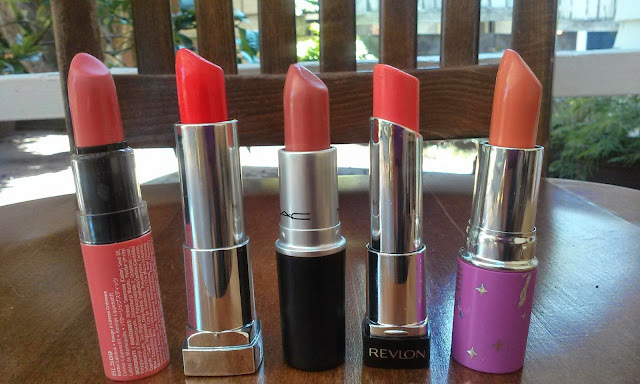 Are you into peach or orange lipsticks? 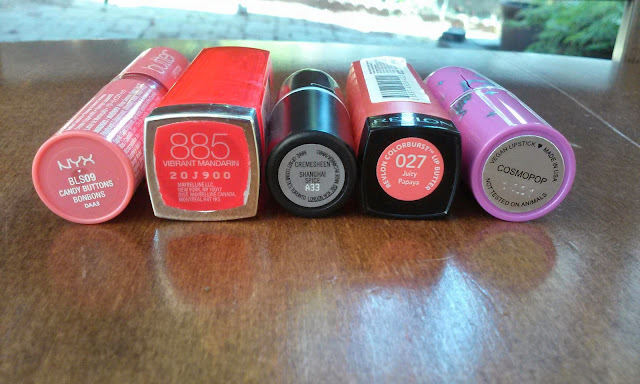 What are your favorite summer lipsticks? Let me know! mmmmmmmmmmm, dat mandarin! Might have to run over and pick up that... like, soon! Love these shades ! Gorgeous ! They're still favorites of mine even one month later! If you are looking for a reputable contextual advertising network, I suggest that you have a look at ExoClick.